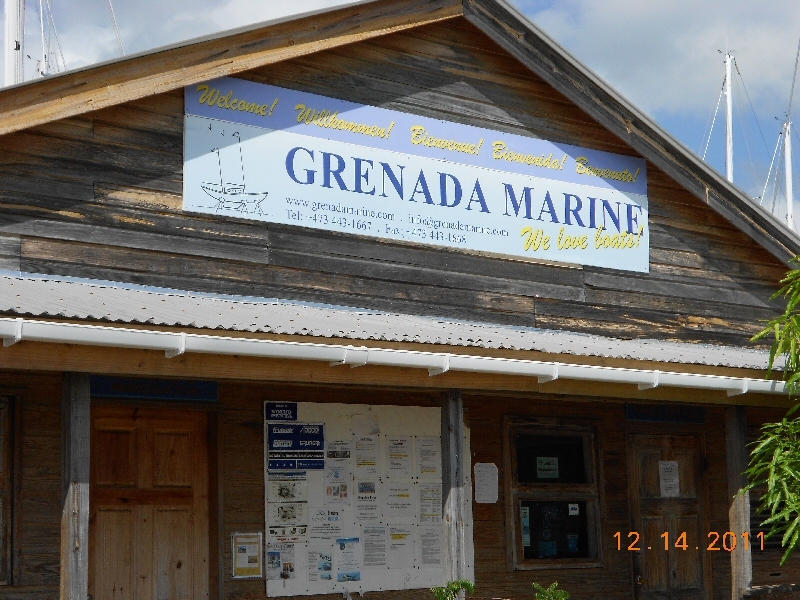 We leave our boat in dry storage for the hurricane season at Grenada Marine. 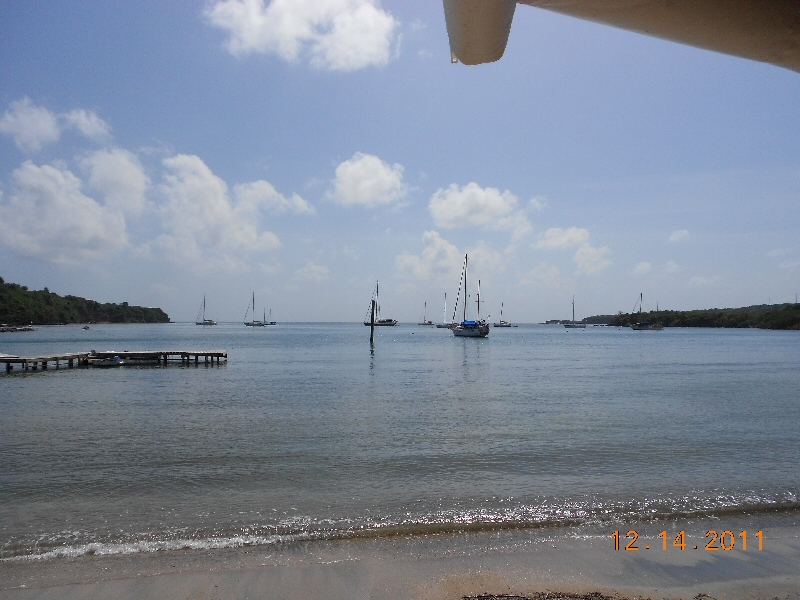 There is another boat yard in Grenada, Spice Island Marine, but we’ve never left Gra’inne there. While we still use this method for last minute items that we cannot preship, it is far better if possible to ship everything ahead. We now ship the majority or our items via Tropical Shippings LCL (Less than Container Load) service. For ease of use and to obtain the cheapest shipping rates we use 70 gallon cardboard shipping containers that we get from Tropical. 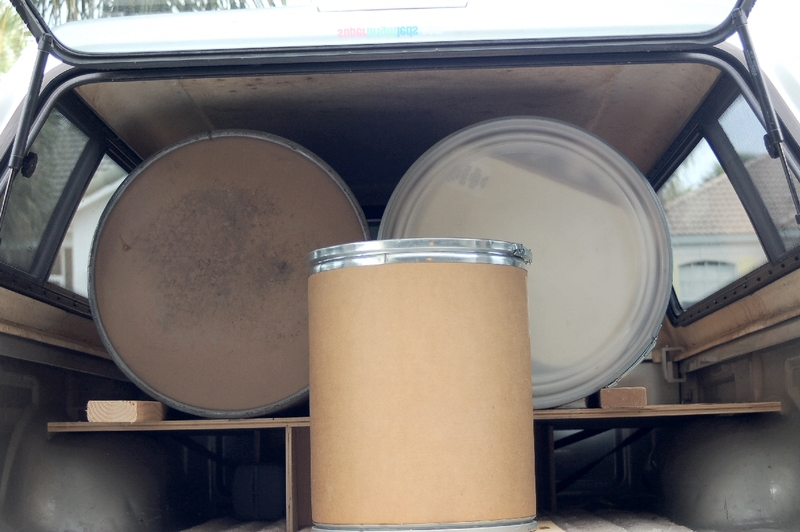 Other containers are suitable as we see palletes of boxes of every size shape and description at the Miami LCL facility. Once we fill our shipping containers we drive to the Miami LCL facility and process the shipment. Tropical also offers pickup/shipment from the US and Canadian locations using a support trucking company. 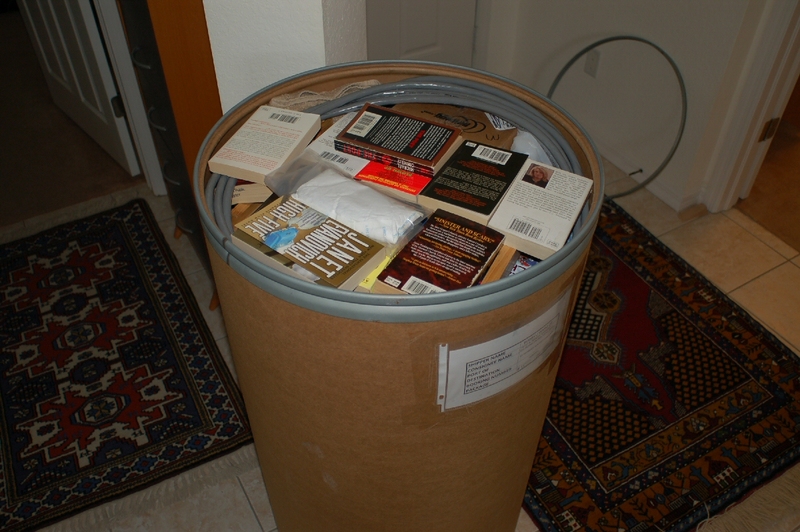 This pictures shows out 2010 shipment of two 70 gallon barrels of supplies and parts and one smaller container of 225ft of chain. Man, was the small barrel heavy! for our shipments as they have a Customs Broker who will take care of the formalities, transport the shipment to us at LePhare Bleu Marina, and store for us pending arrival. To facilitate the Customs process we provide Island Dreams with a detailed inventory and receipts for each item that we ship in .pdf format. Tropical ships all over the Caribbean and to the Bahamas so a similar process would apply to these locations as well.